Over 100 students successfully completed their High School Equivalency exams in the Adult Education, Academic and Career Education (ACE) program. Nearly 50 students participated in last Wednesday’s ceremony, which included a keynote speech from New Mexico Cabinet Secretary Dr. Barbara Damron. View a photo gallery on Facebook. The college announced last week that it is one of 14 organizations selected by the Environmental Protection Agency to receive funding to operate environmental job training programs for local unemployed residents.These grants help prepare people for green jobs that reduce environmental contamination and provide more sustainable futures for the communities most affected by solid and hazardous waste contamination. Register Now for Summer Continuing Education Classes! Summer is almost here, and our Continuing Education Department offers fun, inspiring programs for participants of all ages: kids age 3 and up, tweens, teens and adults. The campus is a perfect place for summer classes, where you can learn something new at an affordable price. Registration is open now; call 505-428-1676. The Algae Industry Magazine Readers Poll results are in: This year, the SFCC Biofuels Lab won gold in the “Algae Cultivation Facility” category and bronze in the “Algae Laboratory” category. Additionally, SFCC’s Training Center Corporation partners won awards: Gold for Apogee Spirulina in the “Algae Microfarm – Small Cultivation Facility” and two silvers for Ecoponex. Food for Life: Lose weight and get healthy in a series of nine, weekly educational cooking classes on a plant based diet. Benefits include prevention of diabetes, cardiovascular disease, cancer and other chronic diseases. Taught by Amanda Hatherly, Certified Food for Life instructor. Lunch prepared, provided and eaten in the class. Tuesdays beginning June 13 and going through July 25, 11:30 a.m. to 1 p.m. Preregistration is necessary. Funded by the SFCC Foundation. Fun-day Mondays: Join colleagues in a drop-in noon hour of fun and games, laughter and learning in the courtyard. Who said life was all work and no play? Facilitated by Jeff Hood, Erica Abeyta and Ernest Kavanaugh, June 19 – July 24. Sign up now. Open to all SFCC faculty and staff members. For more information and to register contact Jeff Hood, ext. 1843. High school students have through today to submit their applications for Global Youth Santa Fe. The two, five-day summer camps run June 12-16 and June 26-30. Space is limited. For more information and to download the application, please visit: Teamwork in Action Global Youth Santa Fe. For more information contact Director of Teamwork in Action David Markwardt, ext. 1637. 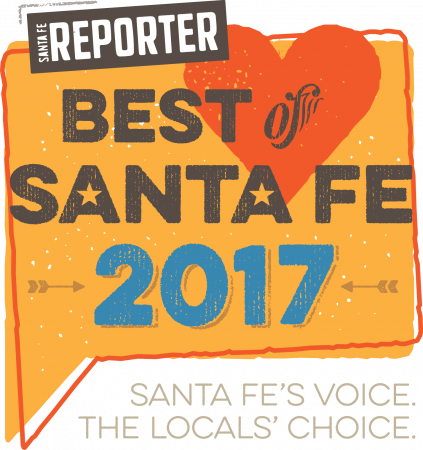 Anne Salzmann, Head of School for The MASTERS Program, recently shared the experience she and her students had witnessing a DWI court session held on campus in a letter to the editor of the Santa Fe New Mexican. All students seeking support for endowed SFCC Foundation and institutional scholarships at SFCC must complete an online application by this Friday, May 26. Read more. . . The scholarship application for City of Santa Fe/SFCC Foundation Veterans Scholarship is available. Applications are due June 7. The SFCC Governing Board recently approved Policy 8-9: Postings on Campus. Please review the full policy and procedures to make sure that your postings follow college guidelines. Congratulations to the winners of the most recent Ping Pong Tournament held at the Fitness Education Center! Join in the March to Restore Higher Ed Funding from 11 a.m. to 1 p.m., Wednesday, May 24 at the Round House.